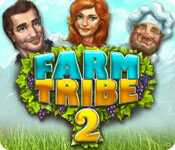 Farm Tribe 2 is rated 4.0 out of 5 by 56. Rated 5 out of 5 by melmill2552 from Excellent! 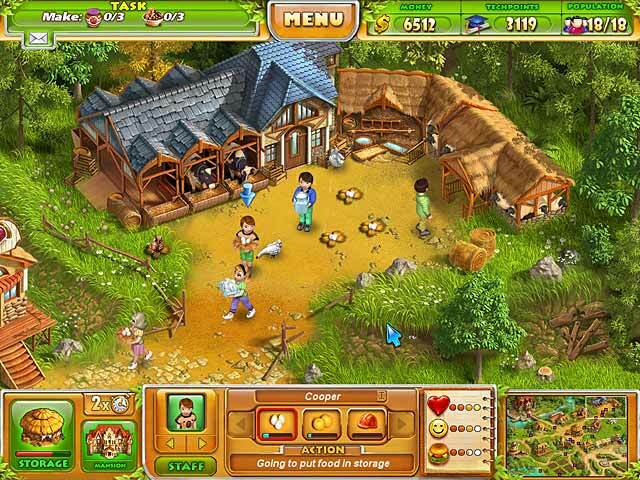 Farm Tribe 2 is a cross between The Promised Land and Farmington Tales - two of my favourite games. So this simulation/strategy game was truly far better than I expected. Loved it all. Was compelled to write a review. Rated 5 out of 5 by jskalb from Engaging game with lots of variety! 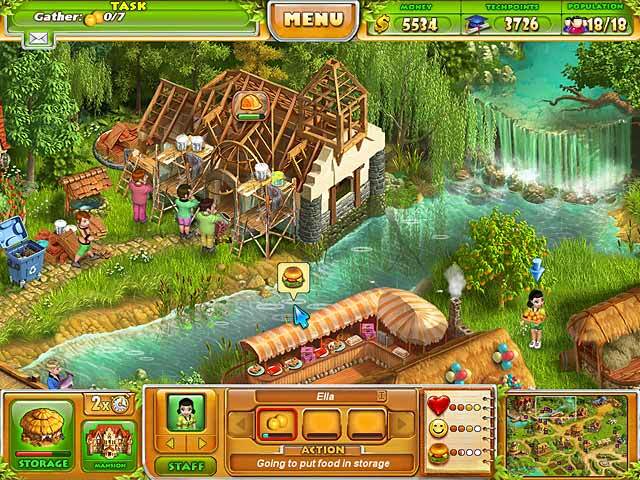 Story, adventure, cooking, finding, building-It's a great all in one game. Rated 5 out of 5 by AdrianaIP from I can't believe it. I game I love more than Artist Colony I love Artist Colony. Well, they have taken it, and made it better. You have to be on your toes all the time. Yes, things take time to build, but in the meatine you have plenty to do. 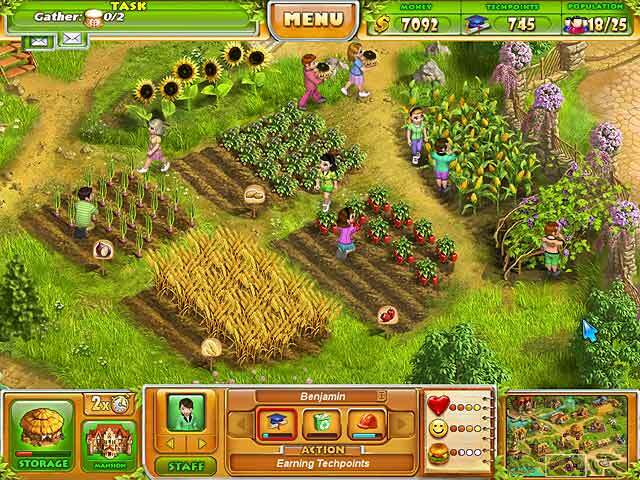 You have to find hidden objects, you have to check on your workers regularly, first to make srue that they are fed and in good mood so taht they do not leave, and later, to be on the lookout fo a cough that tells you to take the worker to the infirmary. Failure to do that makes you lose the worker. Also you have to fight off invasions of moles and carterpillars (the moles look goofy...) Plus a mystery to solve. This in not a game where you can step out for a few moments and then come back. I did so and lost an experienced builder. On the other hand, when you get off the game, the action stops, so, it you take longer to come back you do not find everybody gone. They are just as you left them. Also no tme limit. Take your time. And have a lot of fun. Rated 5 out of 5 by ttownmama from Please make a 3rd Farm Tribe!!! This is my favorite game ever!!!! I can't wait for the new one to come out. Rated 5 out of 5 by maggy33us from great game to relax and have fun The game is different then other time management game I have tried, it is relaxed but keeps you interested, goals are funny. Rated 5 out of 5 by dilber77 from EXCELLENT TIMEPASS This game is so COOL with a capital C that I litrally had to stop myself from playing for hours...its a great mind challenger and the graphics are colourful too....I would strongly recommend it and am waiting eagerly for its next sequel..thank u Big Fish.